Do Not park your car on the street or your yard. All vehicles must be parked in a garage or driveway. Street parking is only allowed for temporary guests for a few hours. Street parking is probably our number one complaint. Be courteous and do not continually park on the street or leave your vehicle there overnight. 2. Do Not block the sidewalks with parked cars. You'll be much loved by neighborhood moms with strollers. Besides, it's illegal! 3. Keep your dog(s) in a fenced yard or on a leash. Jefferson County has a leash law. 91.002 RESTRAINT REQUIRED "All animals shall be kept under restraint at all times as defined in this ordinance, and any deviation or violation thereof is strictly prohibited." You can see the law here. If you have a complaint about a pet please call Jefferson County Complaints and Stray Animal Pickup at 502-363-6609 for immediate help. Also, If you walk your dog(s), clean up after your dog(s) during neighborhood walks. This is the Law and not a neighborhood rule and should be reported as such. Your dog might want to leave a gift, but it isn’t the type your neighbors want. 4. Keep your front yard free of toys, swimming pools and bicycles. Curb appeal means a great deal to prospective home buyers in our subdivision. Nobody wants to live next door to a daily yard sale. 5. Pay your BHHCA dues on time, by April 30th. Nobody likes to be hassled over money or have to hassle someone over it. Your dues pay for street lights, the entrance signs, as well as the maintenance of common areas. Paying on time avoids additional fees and eventually having a lien filed against your property. 6. Maintain your home and yard. Tall grass and weeds encourage insects and rodents to homes. According to BHHCA Declaration and Jefferson County Ordinance, lawn maintenance is required and can be subcontracted. In other words, if you don't cut your grass, the BHHCA or Jefferson County will have it done for you at your cost. It may also be subject to fines by the County. This includes "common areas" adjacent to your property. Many of us have easements, culverts, or common grass areas that add to your property area although not technically your property. 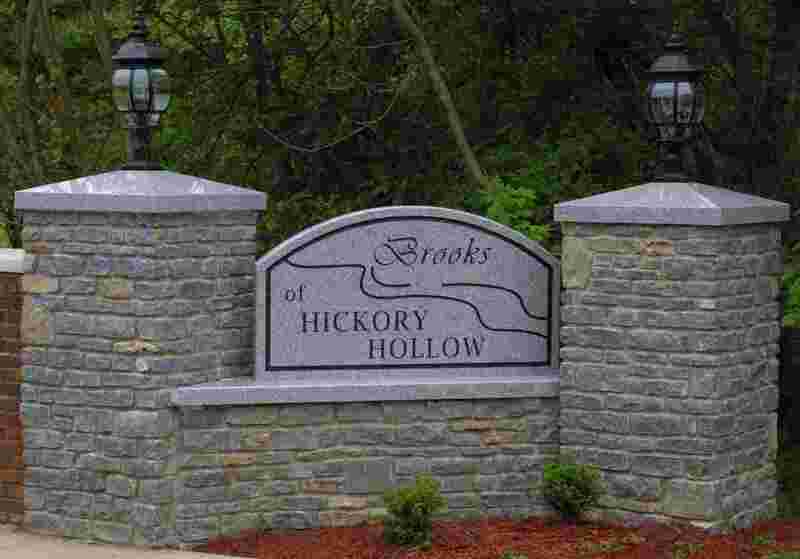 The Brooks of Hickory Hollow Community Association does not maintain any of these areas and home owners are asked to mow and trim these areas that add extra space and beauty to your property. Some neighbors have gotten together with other neighbors to take turns in sharing the responsibility to cut the larger areas adjacent to their properties. We have always been fortunate to have great residents that are willing to take care of this and not have the Association pay for this, keeping our dues some of the lowest in the area. 7. Get to know your Neighbors. Watch out for your neighbor’s house. Know when they will be out of town. Watch out for any strange activity going on in the subdivision. We can all watch out for each other and make this a safer place to live. Keep garage doors closed, doors/windows locked at all times, and outside lights on at night. If you have seen a problem or the victim of a crime or vandalism to your property be sure the let us know: us on facebook and let your neighbors know so we can all watch out for each other. 8. Get to know your Board Members. Most problems can be handled among neighbors, the BHHCA doesn't have to use heavy-handed tactics to resolve a dispute. It's always better when you work it out yourself. If you can't resolve an issue with your neighbor, contact any Board Member to help out. Don't build anything without checking the BHHCA Declaration of Covenants, Conditions and Restrictions. Nobody wants to see a two-story barn next door and you don’t want to build any structures or other "improvements" that violate the Declaration (deed restrictions). This can be avoided if everyone checks before they build. The Declaration is on this website and recorded in the Public Records of Jefferson County. The worst thing is not to check and then be asked to take down that new fence or basketball goal you just spent lots of money on! 10. Read the BHHCA Declarations and By-Laws. You can't follow the rules unless you know what they are. They are here on this web site and recorded in the Public Records of Jefferson County.